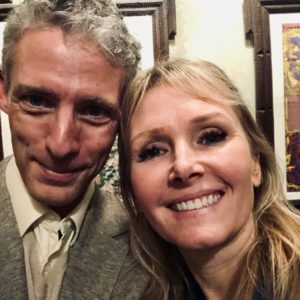 How did Angela Himsel make the transformation from rural Indiana and apocalyptic, fundamentalist Christianity to the Upper West Side of Manhattan and observant Judaism? Her new memoir, A River Could Be a Tree (Fig Tree Books) chronicles that process, bringing to life a story of family and discovery. I talk with the award-winning columnist about how she came to Judaism from the Worldwide Church of God, when she met Jews for the first time, what Israel means to her, and what she considers the weirdest aspect of Judaism. We get into the difference between seeing the world as the emanation of God and seeing it as the Devil’s playground, her conversion to Philip Roth-ism, the beautiful family secret she uncovered in the process of writing her book, the decision to include her terrible teenage poetry in the memoir, why God may need therapy, and the Rapture-based prank she and her siblings still pull on each other. Give it a listen! And go buy A River Could Be a Tree: A Memoir ! 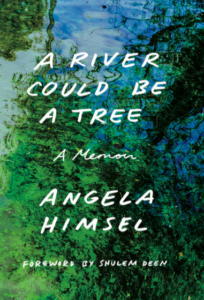 Angela Himsel’s writing has appeared in The New York Times, The Jewish Week, Forward, Lilith and elsewhere. Her column “Angetevka” ran on Zeek.net won two American Jewish Press Association Awards. Angela holds a BA from Indiana University, which included two years at The Hebrew University in Jerusalem, and an MFA from The City College of New York. She grew up the seventh of eleven children in rural southern Indiana in a fundamentalist, doomsday, Christian faith. She converted to Judaism and lives in New York City. A River Could Be a Tree traces that journey.